Looking for a great destination for a romantic couple’s trip or a relaxing girlfriends getaway? 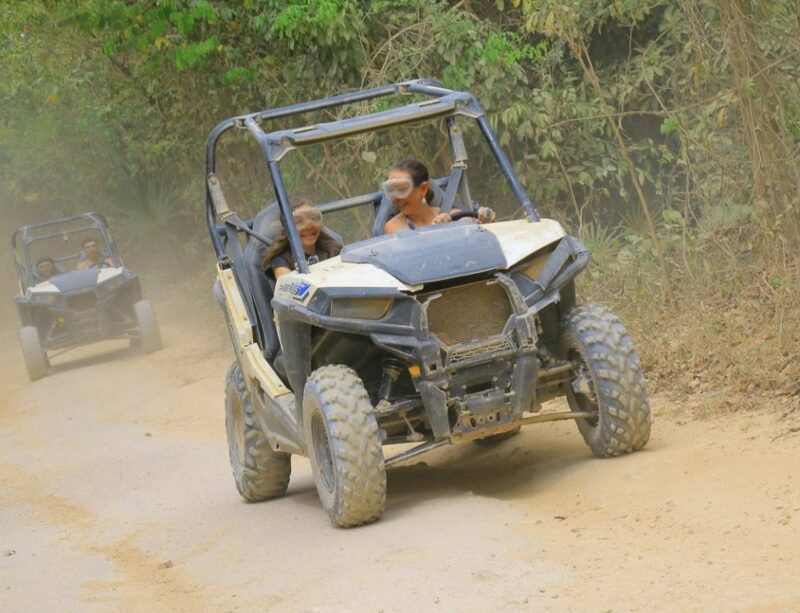 My last girls trip was to El Dorado Royale in Riviera Maya, Mexico an all inclusive adults only resort with my lifelong best friend, Lindsey and we loved every minute of it. The resort is peaceful and packed with amenities. I’ve had the same best friend since I was 11 years old and we decided it was time to take a vacation together. Lindsey vacations with the kids and I every couple of years, but we had not done a girls trip in years. 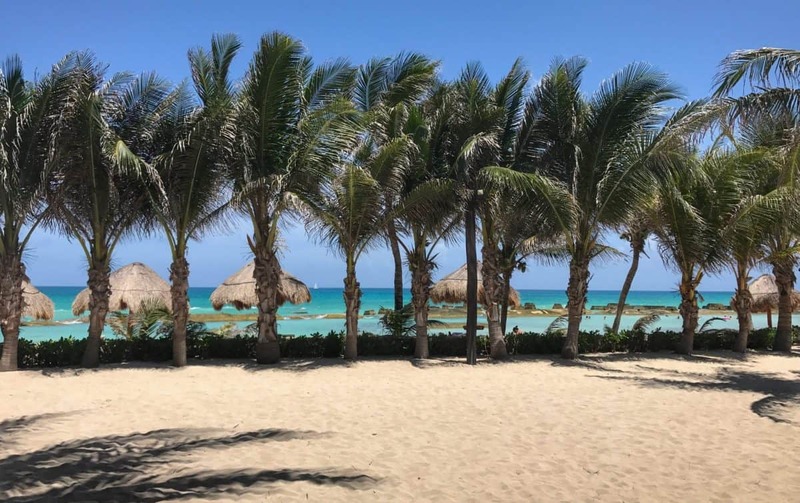 So, we started planning what turned into a fantastic, relaxing week in Mexico at El Dorado Royale in Riviera Maya, Mexico an all-inclusive resort. Previously in the year I had gone to Cancun and really wanted to head back to that area. I love this area. There’s so much to do and every hotel I’ve ever stayed at down here has been fantastic. 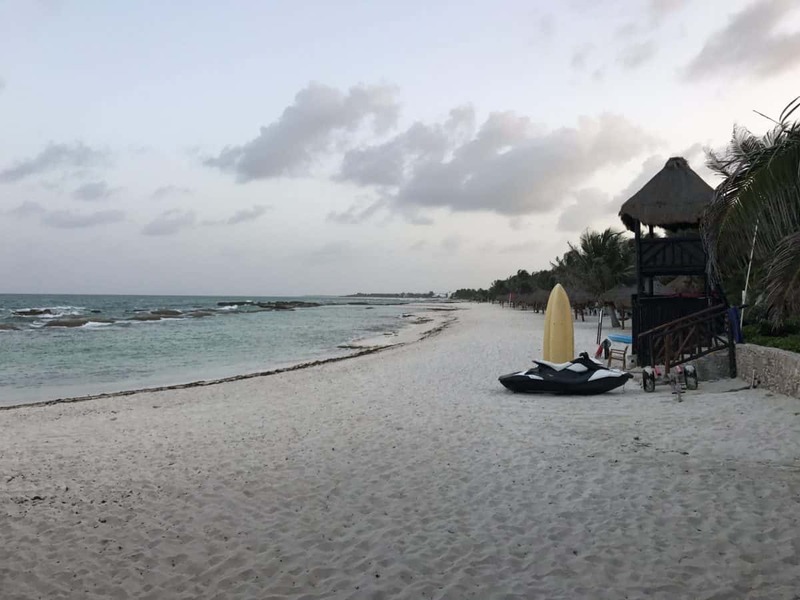 This time I skipped Cancun and went to nearby Riviera Maya instead, which I prefer slightly over Cancun. 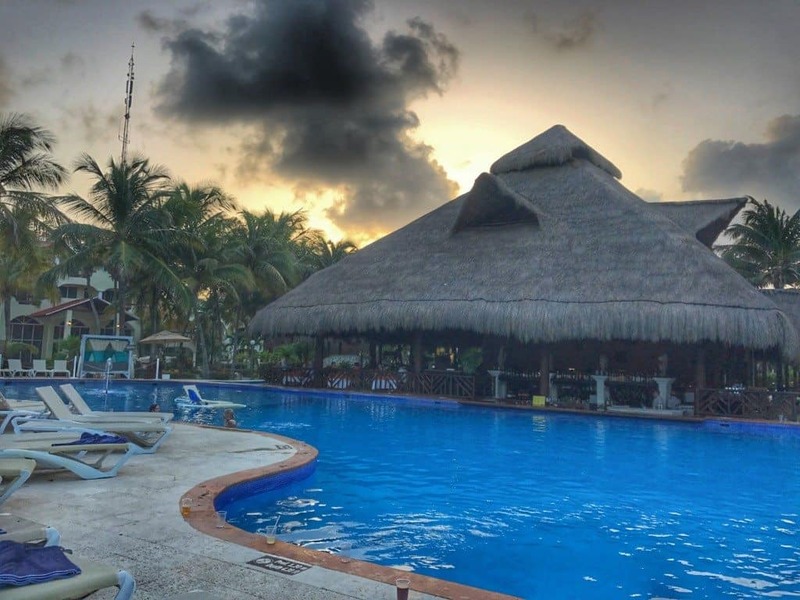 We were on a budget and I was offered a media rate (a very slight discount in exchange for this review) at El Dorado Royale for the two of us. Our room was basic, but nice. We had a Jacuzzi tub and separate shower. There was room service, but it was just okay. 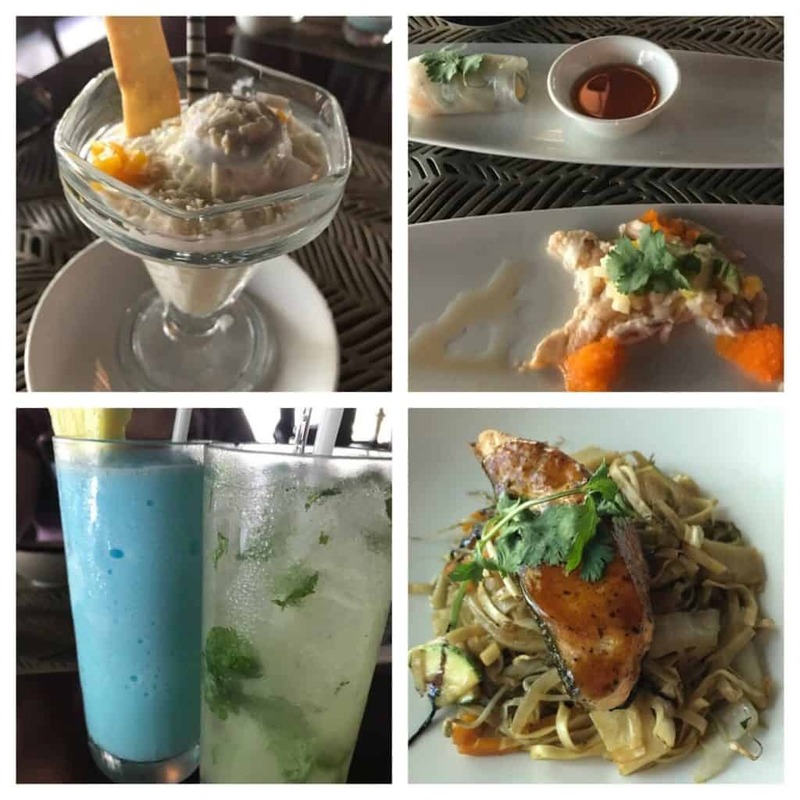 The food at the resort restaurants was phenomenal, so we opted to eat at the restaurants almost all of the time. Our room had a couch, table with two chairs, and a king size bed. It would have been much better to have a downstairs room. In our area, all the rooms on the first floor where swim up suites, which means they have a swim out pool connected to their patio. This is the one thing I wish had been different. Our room had a patio with two chairs and a hammock. The view did include the ocean, so that was pretty sweet! It appeared to me that every room in the entire resort has an ocean view due to the way it is laid out. The bathroom was a little too open for my taste. As you can see from the picture there is a clear see thru window separating the room from the bathroom. We hung up towels over it to give ourselves more privacy. Obviously, this might be a non issue depending on who you are traveling with. There is a Jacuzzi tub and a separate shower. The toilet area was separate as well. The property is gorgeous. Which made up for the room not being glamourous. We saw at least three weddings while we were here and it was easy to see why people wanted to get married here. It was a lot of fun to sit at the bar with swings and watch the different weddings happening. Granted, it’s fun to sit at a beach bar with swings, no matter what is going on. They had a large outside chess set for guests to play. Lindsey refused to play chess with me. She knew I would win. There are 14 restaurants and 14 bars. We were unable to eat and drink at all of them, but the ones we did eat at we loved. 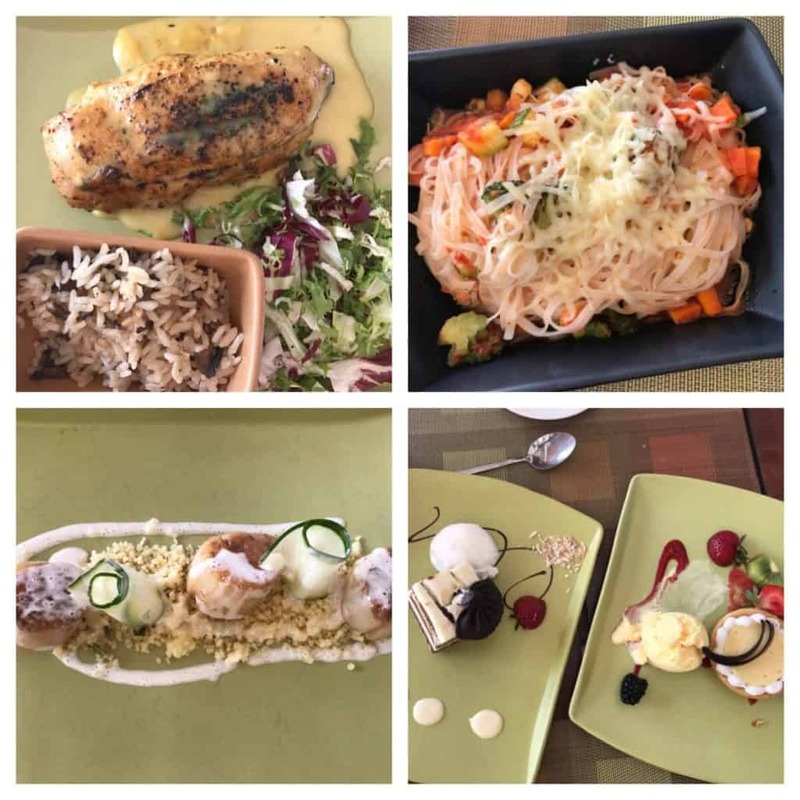 There is definitely a reason this is considered a gourmet all-inclusive resort! We never had a bad meal. One thing I regretted was not bringing any dressier clothes. I wasn’t expecting to dress up at all while I was down here, but it would have been nice to dress up for a few of our dinners. Kampai Pacific Rim Restaurant – This restaurant was by far our favorite. I think we ate here at least 3 times! Jojo’s Caribbean Seaside Grill – Jojo’s is another place we found ourselves eating at more than once. The food was good, but it was more about the view. The restaurant is next to the beach. I love sitting outside at the beach having a beautiful meal. The day we checked in, our room wasn’t quite ready. We went down here to eat and our waiter kept bringing us one drink after another. We ended up having to go take a nice long nap! Oops. Cocotal Restaurant – This restaurant has a breakfast buffet every day that we really enjoyed. They had a Bloody Mary Bar and Mimosa bar set up as part of the buffet. D’Italia Contemporary Italian Restaurant – This is one of the restaurants I wish I had brought a dress to wear. Dinner here took a long time. It is multiple courses and they really spread them out. 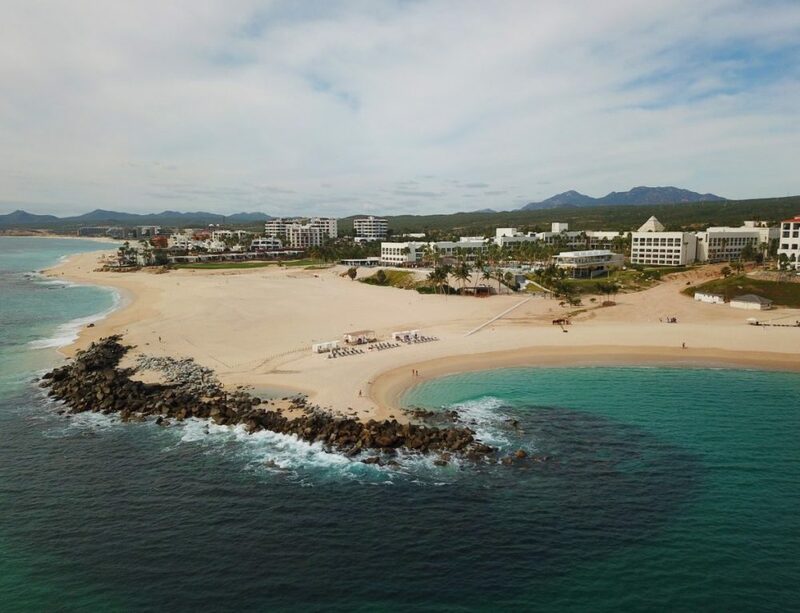 Rincón Mexicano – If you want Mexican, eat here or at the main pool restaurant. Both offer tacos. Santa Fe Grill – We only ate here once and it was for breakfast. It was good, but you can get the same exact thing at the buffet. 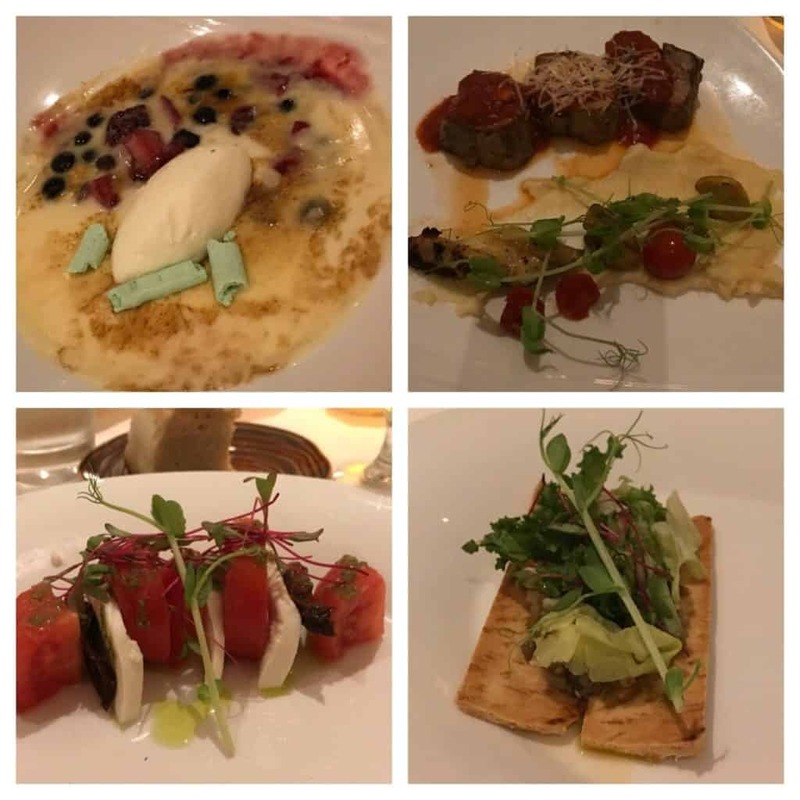 Fuentes Culinary Theatre – Sadly, we missed this experience. It was already all booked up by the time we checked in for the week. It’s a culinary entertainment in an open kitchen with full cooking show hosted and performed by the Chef and Sommelier. The Chef, takes you on a journey filled with exquisite aromas, colors, textures, contrasts and flavors, and the finest selection of ingredients from their on-site green house. The Sommelier, guides you through the magic behind the subtle art of pairing.. They only offer one daily sitting starting with a welcome cocktail at 7:00 pm, followed by dinner & a show at 7:30 pm. Reservations are required, so be sure to make one as soon as you check in. Swim up bars – There’s a swim up bar in the main pool, which is ideal on a hot day. There are a few other swim up bars that you can go to as well because there’s 13 swimming pools. The pools are spread out across the resort and it’s sister property next door, El Dorado Casitas Royale. 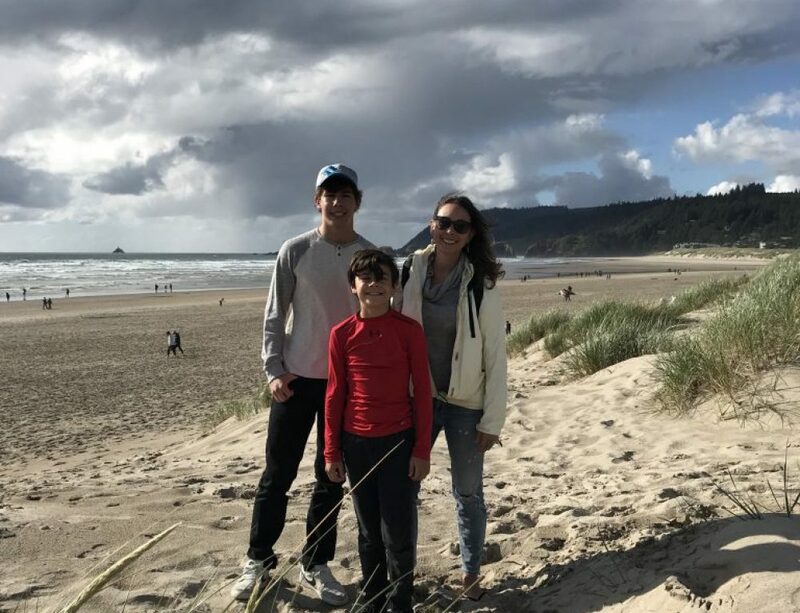 Gratuities and taxes – Yes, that means you do not have to constantly tip and there are no awkward moments of you standing there trying to recall whether or not you are supposed to tip someone or not. Snorkeling – Our concierge recommended not snorkeling at the resort, but after speaking with other guests, we learned that the snorkeling at the resort was excellent. Bicycling – When you get there see if you can get bicycles for the duration of your stay. The property is super spread out and it would be handy to bike around. Fitness facilities – The gym is small, but offers everything you need to workout. Not to brag, but we worked out almost every day, almost. Tennis – There are two tennis courts. Yoga – They do yoga out on their pier and I must say it’s quite nice even though it’s a slightly intense yoga class. The instructor called it beginner yoga, but it isn’t. They do offer various entertainment off and on throughout the week, mainly at night. This is also included in your stay. One of the nights we were there we went to a free fire show with intense drumming. It was a fantastic show. They offer Personal Concierge Service from 8 am to 11 pm. I used this service only a few times to make a dinner reservation. They have a little shuttle service set up where golf carts will take you around the property. It’s great if you can manage to get a shuttle. We did not have the best luck catching shuttles. But with as much food and cocktails we were consuming, we were probably better off walking anyway. Somehow I completely missed the fact that they have a spa on-site. There’s also a spa next door you can use at El Dorado Casitas Royale. Use of the Naay Spa includes the fitness room, sauna and steam room with all treatments. The Naay Spa Casitas is bigger and includes a water journey pool aka hydro therapy, sauna, steam room, and a fitness center with all treatments. 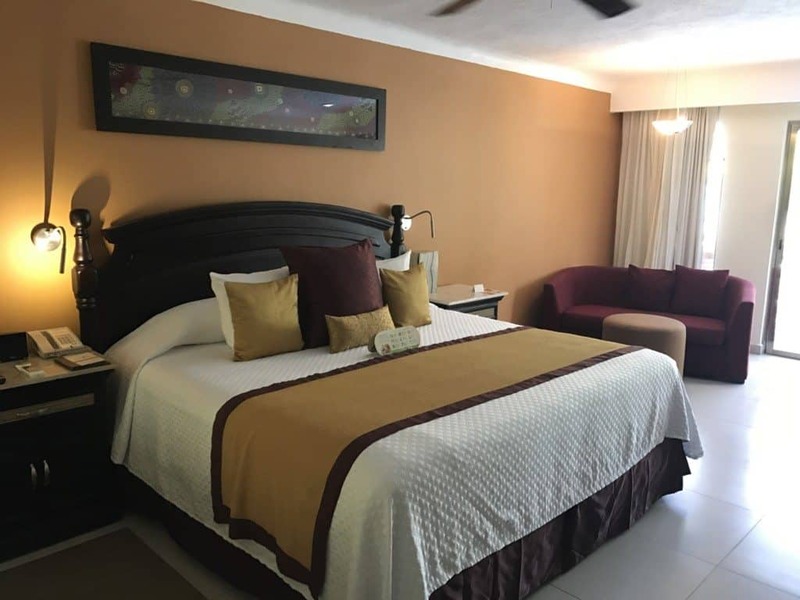 After staying here I wouldn’t hesitate to come back and I have an extremely favorable opinion of the company overall. I hope to take my kids to one of their sister family resorts sometime in the future like the Nickelodeon resort. We stayed here a few years ago and absolutely loved it! Loved that it was all-inclusive and that the restaurants are a la carte. Would love to go back! Great review! 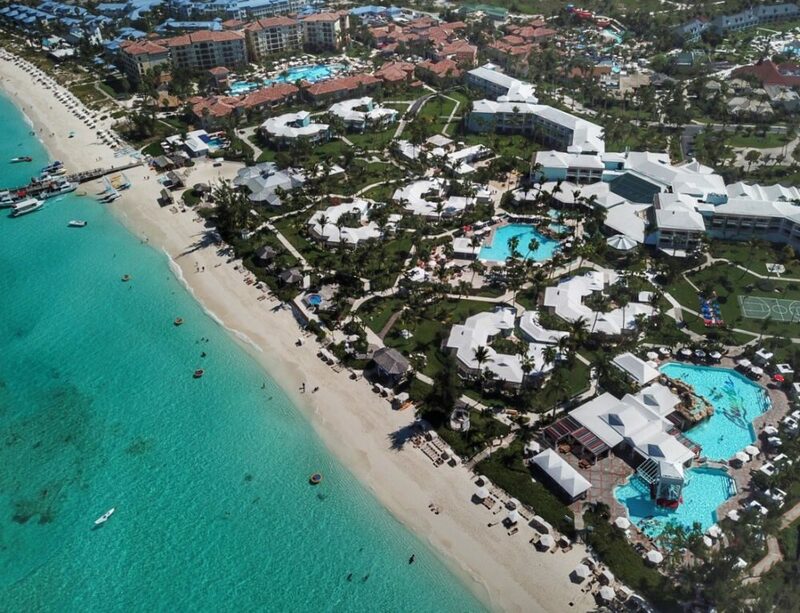 I’m going here next month, do you have any tips for getting to the resort from the Cancun airport? Thanks! I used the travel service that they use, Lomas Travel. Thank you for the quick reply! Can you elaborate on how you arranged it with Lomas Travel?